1.T3000 software now supports the PM5E with the new Arm cpu. 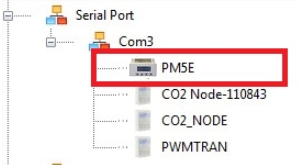 and uses the same user interface as TSTAT8.The PM5E is a panel mount style version of the Tstat8 with the same basic functions as the Tstat8. CO2/HUM/PRESSURE transducers all now use the same input list ,output list grid as the standard T3 controllers and expansion modules.Makes for a more consistent user interface. Next step is to allow the user to scroll through all inputs in the building in one continuous grid for all devices. 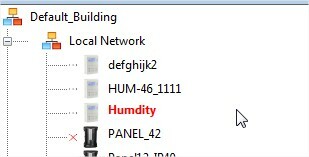 3.Change the icon of the humidity , before it use Tstat5’s icon. 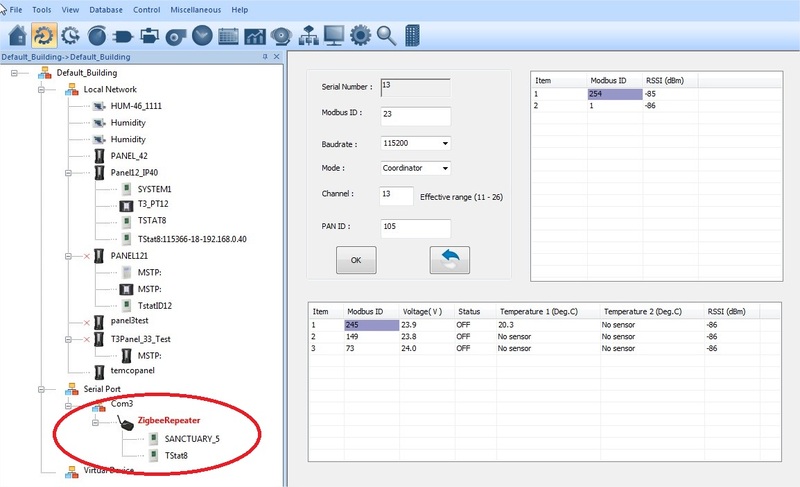 4.The T3 series controllers now support full management over RS485 bacnet MSTP and also over Modbus protocol. Before we could only fully manage using Ethernet. This is useful in buildings where there is only an RS485 backbone such as in a retrofit or where there’s long distances between controllers. 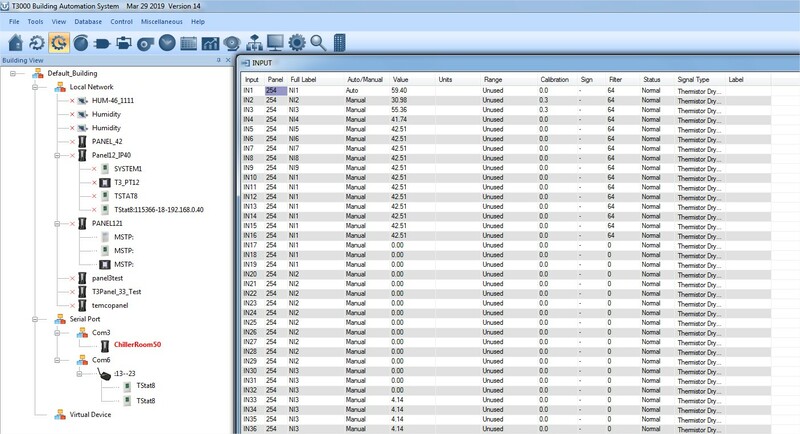 5.Add a graphical user interface for the “ZigbeeRepeater”, these are zigbee repeaters which work like a wireless RS485 modbus network, allowing you to add expansion i/o and thermostats over a wireless mesh network. Advanced optimization. Improved scans, clean up some old code.